For those who don’t know much about Hackintosh, it’s basically a detailed expert level procedure that lets you install Apple’s own Mac OS X onto a device that is not associated with Apple in any way. In case you are wondering, the hardware that goes inside an iMac is quite dated even for the latest models, and especially the price you are paying for that hardware is quite ridiculous. Now the good thing about the hardware in iMac is that it’s closely working injunction with the OS itself, so if there is to be any outside hardware change, the whole eco-system just may crash. That is why Hackintosh is so complicated for some because you’re basically taking a whole bunch of different hardware, and making the OS X run on it. However, for the experts, it’s a fairly easy job, and people have successfully managed to run the OS on much more powerful hardware than what Apple’s Macbook or iMac has to offer. With that out of the way, we believe that getting the OS X to run on a laptop is easier than getting it to run on a full sized desktop for multiple reasons; first reason being the fact that most of the hardware configurations on the laptops are the same. For instance, if 2 people own a Dell Inspiron 15 7559, installing the OS X on both of the laptops will pretty much be the same due to the similarities in the hardware. However, things work a bit differently for the desktop computers as they are not always having the same specifications, and to have the OS X running perfectly fine, you may have to make tweaks to more than just 1 piece of hardware. Well, don’t worry just yet. The good thing is that since motherboard is responsible for taking care of all the hardware, you can pick the right motherboard, install hackintosh on it with your hardware, and have your way with everything. The method is very much like how you would normally install Hackintosh on a laptop, but since you have more freedom with the hardware itself, we’d say it’s easier than doing it on a laptop. Still, you should know that there might be some features that won’t work, and might have issues, but in order to make things easier for the readers, we will list the number of things that are bugged, or completely not working. With that said, today, we are going to help you find the best motherboards that you can simply install Hackintosh on with the help of the vast community that is available on the internet. With that said, you do need to keep in mind that there are some features that are likely not to work, and just to save you the hassle, we will list them down as well. So, without further ado, let’s take a look at the best hackintosh motherboards. We are back with our Hackintosh motherboards list, and considering how the market finally has a new platform, we thought why not go ahead and update the list with some of the best hackintosh motherboards you can go ahead and buy right now. That is why we are going to kick off this list with the amazing Gigabyte Z370 AORUS GAMING WIFI. Now the important thing here is that this keyboard is by no means for people who are looking for a cheap motherboard; this is an enthusiast grade motherboard, and perfect for those who want to dual boot their gaming PC to run both Windows and Mac OS. With that said, the Gigabyte Z370 AORUS GAMING WIFI is based on Intel’s Z370 chipset, which means that you will be getting the support for the 8th gen Intel processors; so for those who are looking for the best possible performance, this is the way to go. IN addition. The socket is still LGA 1151, but the important thing that you must keep in mind here is that the motherboard is not backward compatible. So you can’t run 6th or 7th gen of processors on this motherboard. With that out of the way, you have DDR4 OC support up to 4,000 MHz as long as your RAM can support it. With that out of the way, the PCB on the Gigabyte Z370 AORUS GAMING WIFI is well designed; I really love the black and grey colour combination that Gigabyte has opted for with this motherboard, and for those who are a fan of RGB lighting, Gigabyte’s RGB Fusion is on board as well with additional headers for the people who are looking to pimp up their gaming setup. However, the above features are all gaming related; the real value here is the performance on the Hackintosh. The good news is that the Gigabyte Z370 AORUS GAMING WIFI is an absolute performer. The good news is that every motherboard features works as intended, and this is a treat because in the past we have seen motherboards that do not have all of their features working on Hackintosh. But such is not the case with Gigabyte Z370 AORUS GAMING WIFI. The best part aside from the fact that every feature works as intended is the fact that setting up this motherboard for Hackintossh happens to be really, really easy. All the tutorials you need to get this motherboard up and running are available on the internet and there is a heap of amazing people available on the internet to help you setup the Hackintosh on your computer without any issue whatsoever. The motherboard has an excellent set of features. Great for both gaming and running Hackintosh. Supports all the modern hardware without any issues. Setting up Hackintosh is really, really easy. I have always been a fan of Asus motherboards, especially their Republic of Gamers lineup mainly because Asus is known for making high-end motherboards that focus on both aesthetic, as well as the performance. Today, we look at the ASUS ROG Maximus X Hero; a high-end gaming motherboard from their ROG lineup. I have been using this motherboard in my gaming PC and so far I love the performance and the features that I get with it; after a while, I thought I would finally use this motherboard for dual booting purpose, and install Hackintosh in it, and the result was successful. For starters, the motherboard is an absolute beauty; Asus has done away with red and black theme and have gone with a neutral grey which looks good with any colour combination. I was not sure about this move, but after using it for a while, I am certainly in love with it. In addition to that, Asus has tried its best to squeeze in as many advanced features as you can possibly get; you have USB Type C 3.1 on the front header, as well as on the I/O in addition to a heap of USB 3.0 ports. Additionally, you have HDMI, and DisplayPort right on the I/O, and you also get 2 Aura Sync RGB headers, and one addressable RGB header that you can use. You also get 2 M.2 SSD slots for those who want to have super-fasts storage, and last but not the least, there is plenty of RGB for those who are looking for that feature. As far as the Hackintosh is concerned, I am pleased to report that the ASUS ROG Maximus X Hero is the motherboard to go for anyone who wants to run Hackintosh. Whether you are going dual boot, or shifting entirely on Hackintosh, the motherboard supports it without any issue whatsoever, and the best part is that all the features work. For anyone who wants a gaming power house, along with a productivity master, this motherboard is the perfect one because coupled with the right GPU, and a CPU, you will be unstoppable. The internet is also filled with some of the best tutorials for this motherboard, and all the files you need are available in one place. 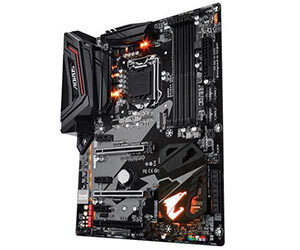 The motherboard is packed with features for both gamers, and productive users. Dual M.2 slots are a blessing. Installing Hackintosh is super easy. Rumour has it that Asus only makes motherboards that are super expensive, and they are not really concerned with consumers who are looking for something lower end. However, that is not true, and this becomes more evident when we look at the ASUS ROG Strix Z370-F Gaming. Asus’s Strix series is a lower end part of their amazing ROG series and there is nothing wrong with that as this appeals to more budget minded people who are still looking for some good aesthetics. With that out of the way, on our list of the best Hackintosh motherboards, we had to add something that was fitting for the list. So, we started searching the internet and came across this motherboard. It is beauty and beast at the same time, and for all the right reasons. As far as the Hackintosh performance is concerned, I am pleased to report that the almost all the major functions are working, and the reason why I say almost is because two of the features are somewhat broken, but there are work around available for them so there is nothing you need to worry about. The entire process is simple and straightforward, and there is a proper, detailed guide available on the internet as well. As far as the features that are somewhat broken, the first one is related to the integrated graphics card; by default, it was not working for me, and since I was using the GTX 1080, I did not pay much attention to fixing that. However, a quick search onto the forums, and I found out that the internal graphics card can be fixed by a rather small patch. Another function that is not working at the moment is that the RAM slots 1 and 3 are not working. However, the good news is that it can be fixed using a config.plist hack. If you have this hack, you can simply use this, and all your RAM slots will start working again. The perfect balance between aesthetics and performance. Great for gaming as well as Hackintosh. Installing Hackintosh on it is super easy. Motherboard is quite budget friendly. You need to use a hack for all RAM slots to work. Onboard GPU needs a workaround. If you are wondering why we are just focusing on Gigabyte and Asus motherboards, then that is because these are the best add-in board partners when it comes to running Hackintosh. I will be honest here, running here, running Hackintosh on these motherboards is like installing Windows. Super easy, and very, very convenient as well. With that said, if you think that the above mentioned keyboards are on the expensive side, then you do not have to worry as we have budget friendly options as well. We are now looking at the Gigabyte Z370M DS3H, for those who do not want to spend money on gaming motherboards, but still want to enjoy the exclusive features that are available on the Z370 platform then this one is for you. 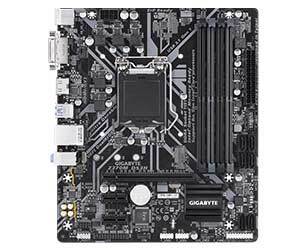 With that out of the way, there are several good things about this motherboard as well; for starters, it is pretty inexpensive, yet you get most of the good features that Gigabyte has in their higher end motherboard. As far as the looks are concerned, you might not love them but considering how this motherboard is intended for casual use, and not the gamers, looks are entirely subjective here. I have to tell you about the commendable performance in Hackintosh though. I was pleasantly surprised, but during my testing, everything went rather well. There are some things that do not work properly or need a work around, but aside from the things that do not work, every other feature in Hacknitosh is there and working. Needless to say, you can create a dual boot system without any issue whatsoever. As for the features that are not working; you might have issues playing the videos within iTunes movie preview, or within Facebook with Safari. In addition to that, the additional buttons on your mouse might not work either. I have a Corsair Glaive, and the additional button simply do not work. I suspect these issues would matter a lot to someone who is going to use this motherboard for the sake of productivity rather than anything else. Still, it is essential that I talk about these features because a lot of people do want the complete experience. Overall, I think that if you happen to be on a budget, and you want a great Hackintosh experience, then the Gigabyte Z370M DS3H is a great option that you should definitely check out. It is budget friendly, and has all the major functions working as well. I can assure you that you will not run into any other issue as far as the performance or installing Hacknitosh is concerned. 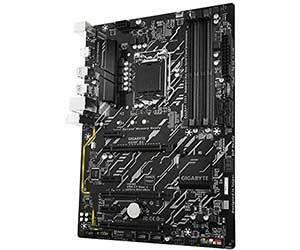 Great motherboard for those who are on a tight budget. Has enough features to keep everyone satisfied. The entire Hackintosh process is simple and easy to understand. Does not take a long time to setup. Some features are not working with no workaround available at the time of writing. Okay, this one is a bit special as compared to some of the other motherboards that I have talked about so far. The reason being simple, this motherboard focuses on providing you the best possible features, but without costing a lot of the money. The reason here is rather simple, the GIGABYTE H370M DS3H is based off of the H370 Intel chipset; this chipset carries the same amount of features as the Z370 chipset, but it does not support the K CPUs, meaning that you do not get any overclocking features. With that out of the way, overclocking on Hackintosh does not make much sense anyway, so losing this feature is not something that is going to concern a lot of people. With that out of the way, the GIGABYTE H370M DS3H is one of the more basic motherboards available in the market, but that does not mean it is a slouch by any degree. The motherboard manages to holds its own for the price you are paying, and provides you with enough power that will get you through pretty much any task you through at it. Considering how the motherboard is literally one of the cheapest options available in the market, there is a lack of advanced features which is fine, so you need to keep that in mind. I think this is a great motherboard for anyone who is looking to create an entry level gaming PC, and does not want to spend a lot of money either. I mean, it does support processors up to an Intel Core i7 8700, and you do have enough fire power. With that out of the way, my experience of installing Hacknitosh on this motherboard was relatively simple and straightforward. I did run into a few issues when installing it though because I was failing to find the appropriate guide for it, but once that was out of the way, I did not have any such issues. With that said, the process is simple and straightforward and at the time of writing, every major function of Hackintosh is working just fine. As a matter of fact, there is one feature that is not working, and that is wake by USB, however, I highly suspect that a lot of people would be using this feature in the first place. Overall, I believe that the GIGABYTE H370M DS3H is a great value for money, and you would be really good with it whether you are looking to build an affordable gaming PC, or a PC running Hackintosh, or both. It is cheap, effective, and gets the job done regardless of the nature of the job. Supports all high-end non-K processors. Installing Hackintosh is very easy. Almost all the major Hackintosh features work just fine. The Wake by USB feature is not working at the time of writing. The motherboard is really basic when it comes to features. If you are finding yourself on a low budget, but you still want to enjoy the features of a Z370 chipset, then you do not have to worry. We are bringing your probably the cheapest Z370 motherboard you can find in the market. But do not be fooled, just because it is cheap does not mean it is low on features. It contains all the basic features as well. With that said, I found this motherboard while I was searching for parts to create a budget minded Hacknitosh, and with the GIGABYTE Z370P D3, it is almost a jackpot. For starters, if you want to build a high end gaming motherboard with a lot of overclocking potential, then this is not the one that you need to go for. However, there is minor overclocking headroom available, and you should be fine with it as well. Another important thing that you need to know here is that Gigabyte did not put a lot of advanced, OC oriented features, and that is fine. With that out of the way, I did build a fairly powerful gaming PC with an 8600K, and a GTX 1070; the performance was fine, so I gave Hackintosh a chance, and to my surprise, things went rather good. Now the important thing that you need to understand here is that because this motherboard is not that famous, there are some things that are not working at the moment, and some of them are the things that people may want to use. Normally, I brush off any of the minor features, but the features here are massive, and that is why I am warning everyone beforehand. At the time of writing, AirPlay, AirDrop, Handoff, iMessage, iTunes, FaceTime, and HDMI audio are the features that are broken. However, the community is tirelessly finding a fix to that. 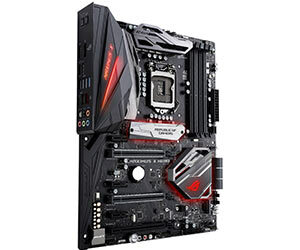 If you think that these inconveniences are on the minor side, and you are okay with them, then the Gigabyte Z370P D3 is a great motherboard that you should definitely invest in. Especially if you are finding yourself on a tight budget, and you are looking for something good that should get the job done. The motherboard is extremely budget friendly. Has all the basic necessities of a Z370 motherboards. Installing Hackintosh is a lot easier. Features such as WiFi, AirPlay, AirDrop, iMessage, Handoff, iTunes, FaceTime, and HDMI audio are currently not working. If you have been under the impression that the ROG motherboard series is only for people who want the highest end features, and overclock their computers to their maximum potential then you are wrong. Asus finally realised that there is a fair share of market for people who do not want to spend a lot of money on the Z370 chipset, as they are not looking forward to overclock their processors, and decided to release a slew of motherboards that were geared towards those who do not want to spend a lot of money. 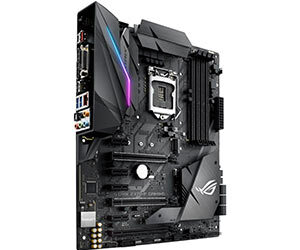 With that out of the way, today we look at the ASUS ROG Strix H370-I Gaming, a budget friendly motherboard that has all the gaming features of a high end motherboard but does not cost a lot of money mainly because it comes equipped with Intel’s H370 chipset rather than the more common Z370 higher end chipset. But is it any good? Well, the good news is that from a gamer’s perspective, the motherboard is pretty solid, it works as intended, and all the features that you need are there. You get some stunning RGB lights as well, so if you are planning to use the same motherboard for your gaming needs as well, then you are in luck because the features are certainly there to begin with. Now the most important part that you need to understand here is that this is an mini ITX motherboard, meaning that you are only going to get two RAM slots, but do not worry as even something as small as this motherboard packs a lot of punch. I love that you get both WiFi and Bluetooth on the motherboard along with their respective antennas; this just makes everything so much better. Now moving onto some of the more technical factors of this motherboard. It is essential to keep in mind that we are using this motherboard for the sake of running Hacknitosh on it. So, I assembled the PC, plugged in everything, and started roaming the internet for the proper information. The good news is that despite this motherboard being a not so common choice among gamers, the good news is that you can actually run Hackintosh without a lot of issues. The process took me less than an hour, and Hackintosh was up and running. Since this is a review, and not a tutorial, you will have to find that information on your own, but the good news is that it is not that hard to find. With that out of the way, all the features of Macintosh work without any issues whatsoever. However, there is one feature that is broken. The Bluetooth and WiFi do not work on this motherboard, and normally, it should not be an issue for people who do not use this feature, but the easiest workaround to this problem is to buy a 3rd party card; mainly one by Broadcom and you issue will be resolved. 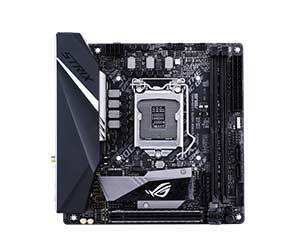 All in all, I personally find the ASUS ROG Strix H370-I Gaming a very attractive motherboard for people who are not in the mood to spend a lot of money. I know it is an mini ITX motherboard, but these motherboards are a lot more common for people who want to build powerhouse HTPCs. Imagine having a dual boot HTPC in your living room, I personally find that to be an amazing offer. The mini ITX form factor makes this motherboard a treat for HTPCs. Installing Hackintosh was really easy. All the Hackintosh oriented features work. This is the last motherboard on the list, and I guess we were saving the best for the last. In case you have not guessed it already, we are going to take a look at the GIGABYTE H370N, one of the cheapest motherboard you will find on the market but do not be surprised, as you get a lot of amazing things in this motherboard. Without further ado, let’s review the GIGABYTE H370N and see just how good it is. Now the thing that you need to know here is that this is another mini ITX motherboard so if you are looking for that small form factor, this is the way to go. With that said, let us start the review process. The first thing I love about this motherboard is that it can literally fit in a case that is the size of a shoebox; and believe me, there are some amazing cases available of that stature in the market. But let’s not swoon about the design as the motherboard is more than that. It can easily rock and Intel Core i7 8700, but here is the thing; if you are running a stock Intel HSF on the processor, then I would advise you to do that, because the processor emits a lot of heat, and you can run into thermal throttling. However, you can get some other processor as well, and it will not be causing the troubles. I equipped this little baby with a Core i5 8400, 8 gigs of RAM, and a very small case that is almost the size of a regular banana, and honestly, my experience could not have been better. At this point, I do not think there is a better option available in the market, because everything you would want is here with this motherboard, and it works really, really well. Has all the basic features. Great for mini ITX based HTPCs. Every single Hackintosh feature works. As you may or may not have noticed, in many cases, installing Hackintosh on a desktop is easier than the laptop mainly because of how easier the access you have to all the hardware in one place. With that said, these motherboards are 100 percent guaranteed to work, and even if the methods don’t work in the tutorial, you can always turn to the community for more guidance, and they will be more than able to help you. 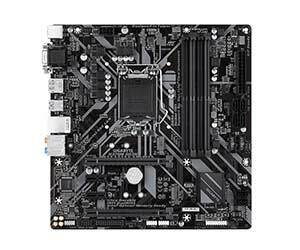 Are there any mATX boards you can recommend? I upgraded my Rig GA-Z87X-DH to a GA-Z97X-Gamer 7, and cannot get it working on my HKNTSH. Any help would be greatly appreciated. Coulda put the price next to each board instead of forcing us to click Amazon each time just to see if they’re within our budget! sometimes prices change so i think that’s why they do it. So if money is no object, which is the best of the best? 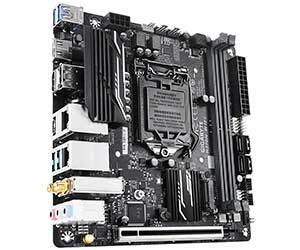 Is the H170N-Wifi a good mobo? None of these have USB C so absolute non starter unfortunatly. Is USB-c ust not common for motherboards yet? Not a single Z170 board…this list is old. Title says 10 best, but I only see 6.
the following motherboards are supoort for mac OS 10.9.5??? Does a mother board with intel b150 chipset (Asus aura mini it’s wifi) works? If you haven’t personally installed OSX and used the board, then your recommendations are useless. This site just copies information from elsewhere and tries to make money from affilliates, without checking any of the information they are passing on. It is the Hackintosh equivalent of Fake News! I cant hackintosh on my pc any help please With configurantion? what better for hackintosh h110 or b150? There are some mentions of issues with certain hardware on a hackintosh. Is it possible to dual or triple boot with a hackintosh, and would it create any problems on Windows and/or Linux if you did so? I’m looking for an 1150 mini itx board to run as a hackintosh. I had the Gigabyte H87N wifi board but somehow managed to bend a couple pins. I have a spare i3 4340 chip which I could use or a g3258. Any advice would be greatly appreciated. Did you test any LGA 2066 mobos by any chance?